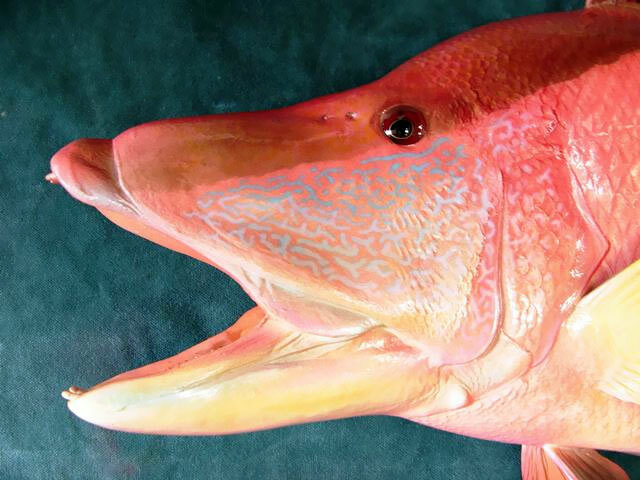 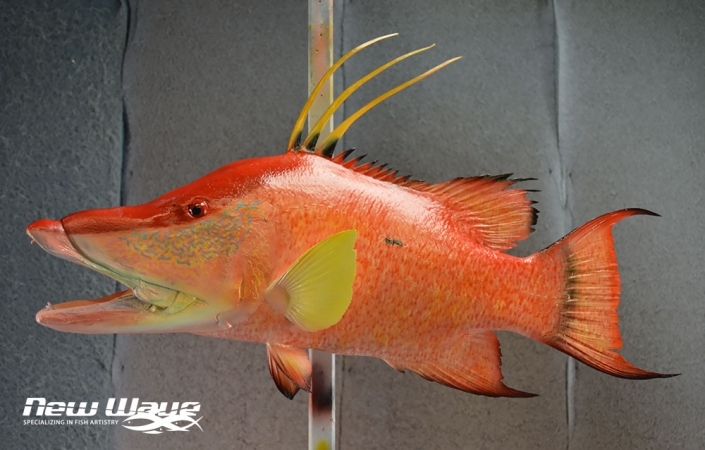 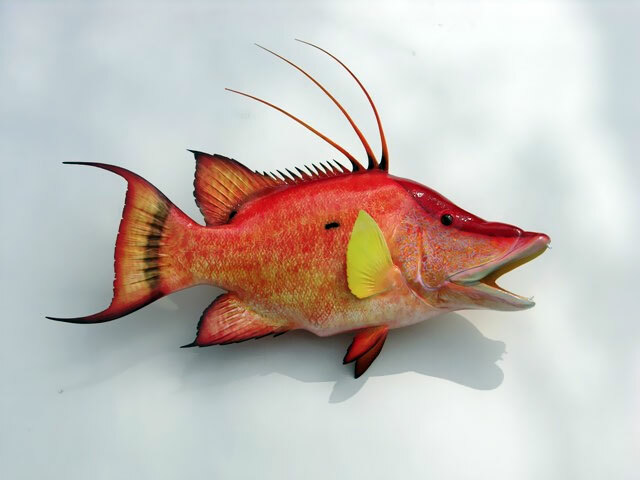 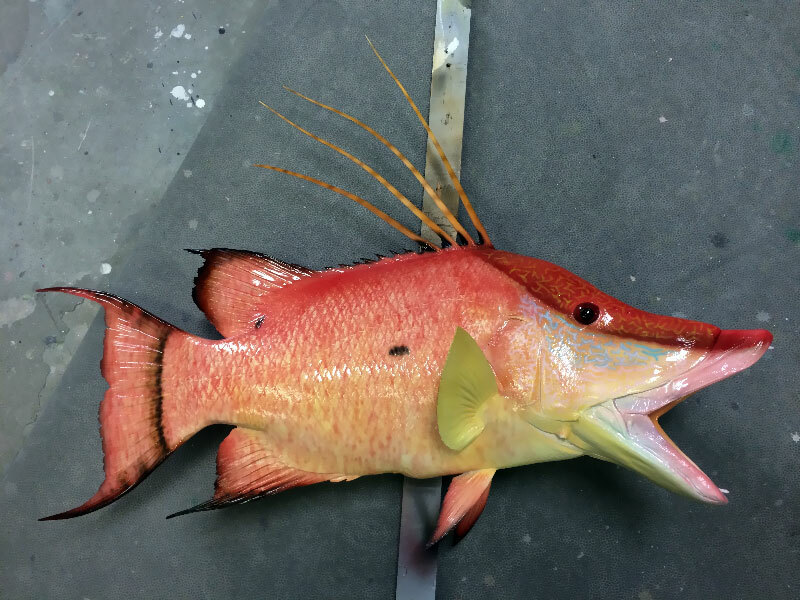 The hogfish is characterized by a large, laterally compressed body shape. It possesses a very elongated snout which it uses to search for crustaceans buried in the sediment. 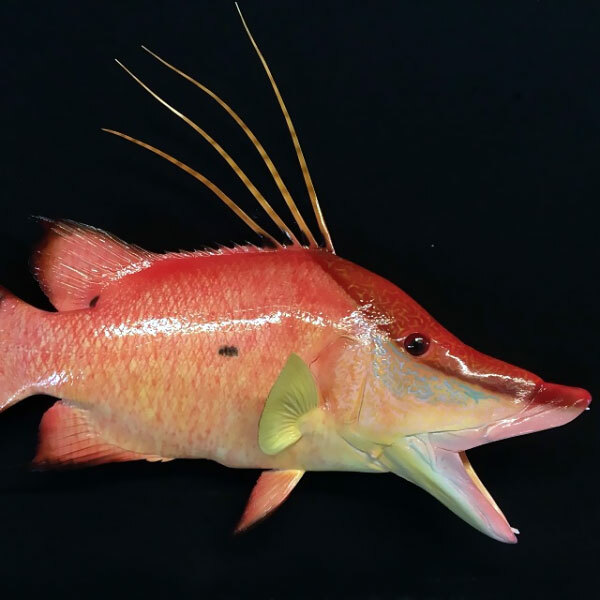 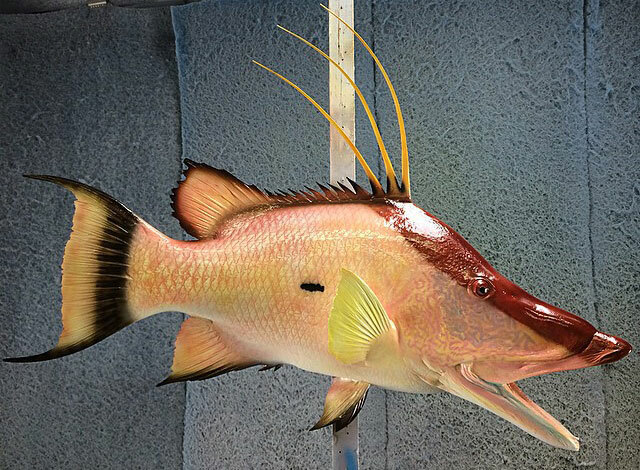 Interestingly, this very long “pig-like” snout and its rooting behavior give the hogfish its name. 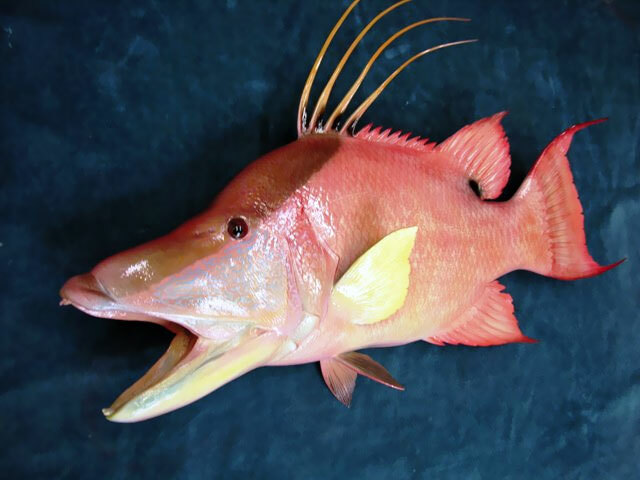 The caudal or tail fin is somewhat lunate and the pectoral fins are along the lateral sides of the body with the paired pelvic fins directly below. 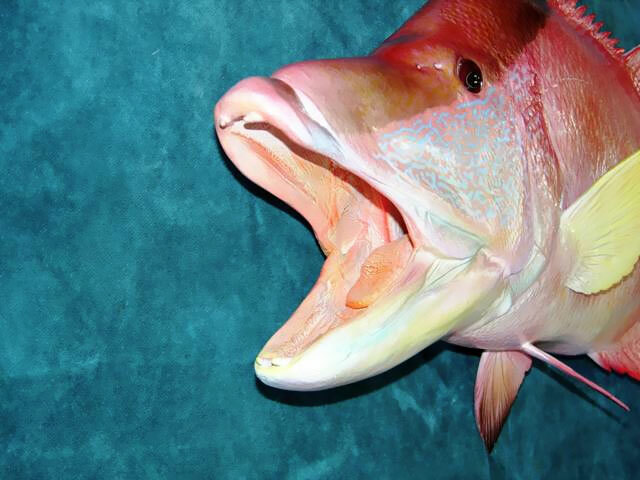 A prominent black spot behind the pectoral fins differentiates males from females. 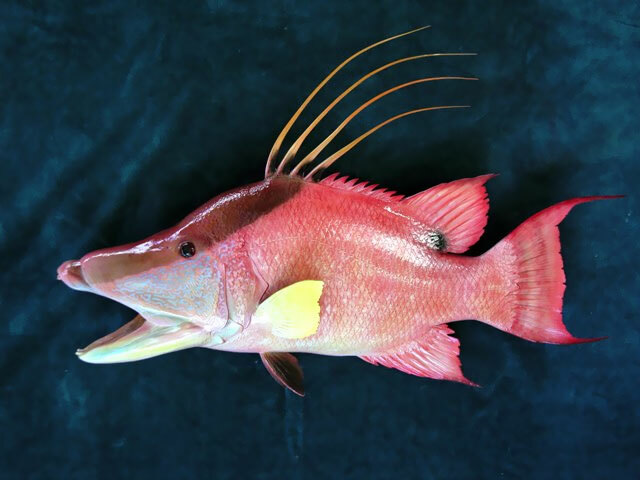 The dorsal fin usually is composed of three or four long dorsal spines followed by a series of shorter dorsal spines.